Bluetooth Cross Trainers & Ellipticals with app - available online! Our selection of home Bluetooth cross trainers & elliptical bikes for an interactive workout with mobile apps. 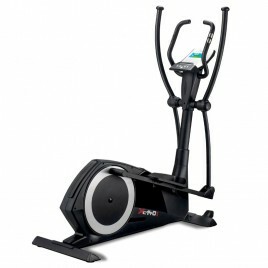 The DKN XC-140i Crosstrainer with Bluetooth offers a full body workout. With its Bluetooth connection, you can connect your iPad, tablet, iPhone to your crosstrainer. * EXCLUSIVE OFFER: Get a 12-month subscription to the Vescape App for free, with interval and cardio workouts, training stats as well as a video game which is interactive with the speed and the resistance of the crosstrainer. 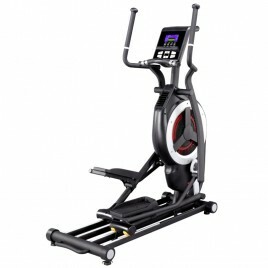 The DKN XC-160i Bluetooth Crosstrainer is the absolute high-end elliptical machine with an extremely fluid movement (flywheel: 20 kg). 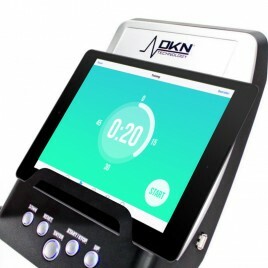 * EXCLUSIVE OFFER: A 12-month subscription to the Vescape Training App is offered to you with the DKN XC-160i, including cardio workouts, HIIT, training stats and a video game which is interactive with the speed and the resistance of the crosstrainer. 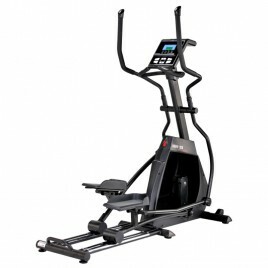 The DKN XC-220i AirTrainer Elliptical Cross Trainer offers an exceptional workout with a smooth pedaling thanks to its 54 cm stride length, its 18 kg flywheel and its curved movable arms. 32 resistance levels, power ranging from 10 to 400 watts, body fat measuring and of course the Bluetooth connection to connect its tablet or iPad. Want to get training tips for stationary bike and elliptical cross trainer to help you lose weight, gain muscles and stay fit? 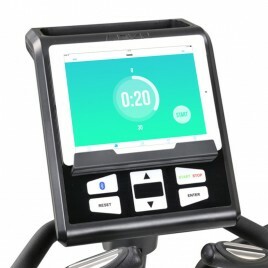 Buy exercise bikes and elliptical cross trainers with Bluetooth online and enjoy an interactive workout by connecting your iPad, iPhone or tablet to your stationary bike. 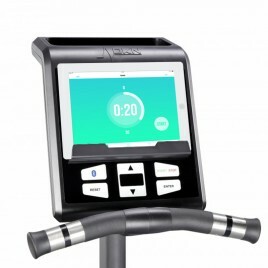 Vescape Online Fitness Shop is a specialist in the online sale of home cardio fitness machines with a selection of the best Bluetooth exercise bikes, elliptical machines and recumbent exercise bikes of the fitness brands Skandika Fitness and DKN Technology at the best market prices.